So you’re driving down the road blaring your AC/DC through your stock car stereo system, only for a sudden crackling noise to rattle your ears. Or perhaps you’re performing your best steering wheel drum solo to Bohemian Rhapsody when you realize that the bass in your car is supremely lacking. It must be time for an update. 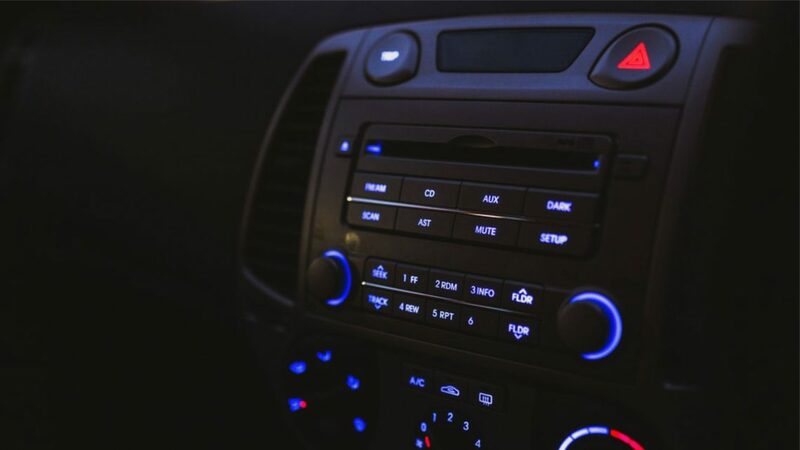 Luckily redoing your car stereo doesn’t have to cost you an arm and a leg or even that much time depending on your needs. Firstly, assess what you’re really wanting for your music. Is it more volume? More powerful bass? Or just an all-around better clarity of lyrical quality? See where you land before diving down the rabbit hole of modifications, stopping before you hit a car resembling a reject from The Fast & the Furious. Stick with these three easy, inexpensive tips that will leave you thinking you’re right there with Jimmy Hendrix at Woodstock. Take a look at the car stereo adjustments. It seems obvious that if you want to crank the bass up you simply plunge that knob as far as it can stand, right? Wrong. Just turning up the bass can leave your speakers working harder on making a sound that most manufactured stereos just can’t produce. So you’re left with a poor quality sound that will not only leave you with a crackling sound in your speakers but wear your speakers out faster. So instead of cranking the knob, actually turn down the treble. It’s much easier for your car system to turn down than up, leaving you with that nice bass you’re wanting without breaking your speakers. This is truly one of the simplest, cheapest options for improving sound quality. Most standard car speakers can handle the average country tune, but if you’re really wanting to get your George Strait fix purchasing new speakers is a quick and easy fix. Ranging anywhere from $50 – $150 you can purchase higher quality speakers that can usually be self-installed, but it is best to have it installed by qualified professionals, like Paradise Village! Don’t risk damaging your stock wiring and let us install the car stereo and speakers for you. Time to install the amplifier. If you’ve done the first two steps and are still not completely satisfied with your musical endeavors, it’s time for the big guns. Bring in the amps. Essentially, an amplifier takes a weak audio signal and, well, amplifies it. This allows your music to not only be louder, but more distortion-free. And if you’re going this route, you can even jump into the deep end and get that subwoofer you always wanted in high school. Not only will a subwoofer provide stronger bass, but richer sound quality. If you’re going to go big on the installation side of things, an amplifier and subwoofer will ensure that you are getting rich, strong music quality at a relatively easy purchase. So whether its Beethoven’s 9th you want to blare, your Nine Inch Nails, shoot, even Johnny Cash will sound better with these easy, inexpensive improvements. Decide what it is you need most, start with the small steps, and work your way up. You might be surprised how easy a simple adjustment is for your sound quality. So go ahead and finally that steering wheel drum solo. With all these improvements everyone else will actually be able to hear it too. Ready to get that stereo done RIGHT? Connect with us using the form below!